Sales brochure for the 2014 Honda Accord for Canada. Models include the 2-door coupe 185hp 2.4L 4-cylinder EX and EX-L Navigation, and the 278hp 3.5L V6 EX-L V6 Navigation. The 4-door sedan has a 185hp LX, Sport, EX-L and Touring as well as a 278hp EX-L V6 and Touring V6. 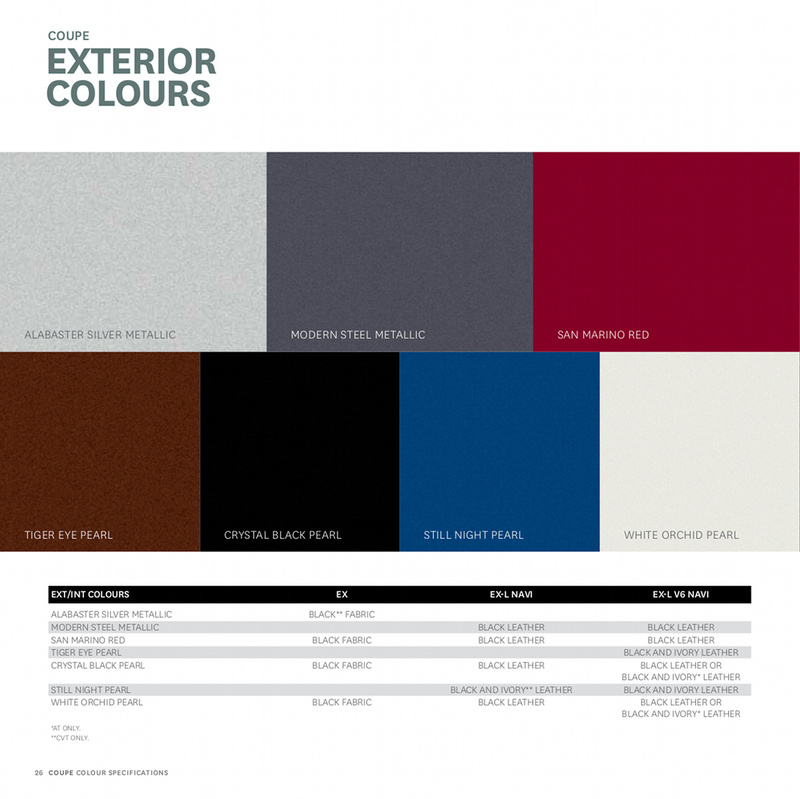 Exterior color options are Alabaster Silver metallic, Hematite metallic, Modern Steel metallic, Basque Red pearl II (sedan), Sand Marino Red (coupe), Champagne Frost pearl (sedan), Tiger Eye pearl (coupe), Crystal Black pearl, Obsidian Blue pearl (sedan), Still Night pearl (coupe), and White Orchid pearl.